Unable to create the virtual directory. Configuring the virtual directory for ASP.NET 2.0 failed. 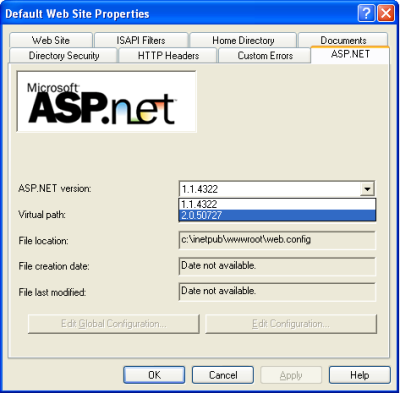 You may need to manually configure this site for ASP.NET 2.0 in order for your site to run correctly. Invalid ASP.NET version settings is the cause for this error message. When ASP.NET version of IIS is not same as the version of Visual Studio, Visual Studio fails to create virtual directories. For example, if you are using Visual Studio 2005 with an IIS configured with ASP.NET v1.1 is an invalid configuration. 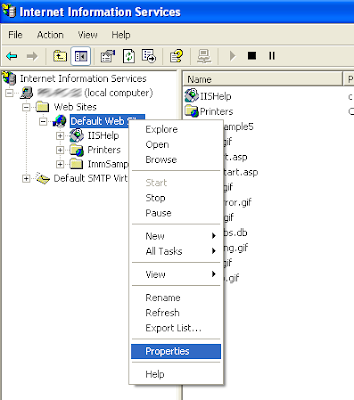 After configuring ASP.NET settings in IIS, recreate the virtual directory using the Property page of Visual Studio Web Application. Visual Studio successfully creates the virtual folder. What If I can not see the ASP.NET tab it self for setting. FYI: I have visual Studio 2003, 2005, 2008. Only that now I get a "You are not authorized to view this page" for my asp.net page deployed on the IIS server. But its a different issue. I got the same type of error. I use visual studio 2010.What should be the version ? I appreciate your help Gopinath.